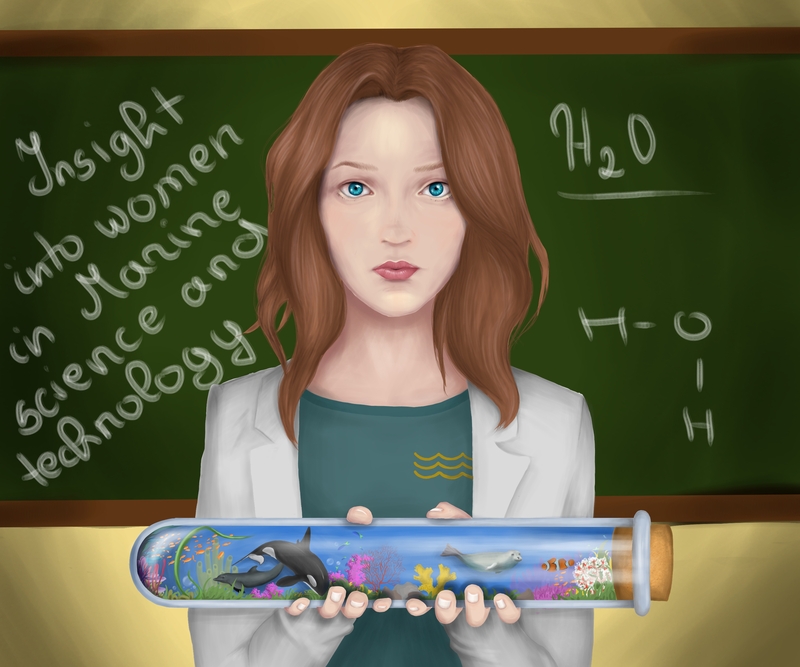 Is there any place for women in the field of Marine research? A very common and stereotypical attitude well established in the society is that mainly men are scientists. This attitude is being strengthened by the perception, that marine research and technologies is a sector where exceptionally men are dominant as employees. At a first glance it might seem that distribution of the staff by gender at the Marine Research Institute of Klaipėda University (further – Marine Research Institute) (68 % of men and 32 % of women accordingly) confirms the mentioned stereotypical trends in the field and that there is no reason to try to change the situation. However, after carrying out a more detailed analysis of the staff structure at the Marine Research Institute, it was noticed and has to be emphasized that the ratio of number of women and men being included into academic career (postdoc. studies – professors) is not stable. The tendency of decrease of the number of women in marine science is well seen in stepping in an academic career, and the period of postdoctoral studies can be called a critical time when the number of women in marine science decreases dramatically. According to the fact, that the mentioned above problem is typical to most science, technology, engineering and mathematics (STEM) fields in the EU member states, the most effective solution of this problem is being looked up for at the international level. In November 2018 the Council of Marine Research Institute confirmed the Gender Equality Action Plan for the period 2018-2023 (further – Action Plan). This Action Plan is a result of the implementation of tasks in the “Baltic Gender” project (Horizon 2020 program). In the Action Plan a lot of attention is payed to women scientists who have just started their academic career. Usually there is a big impact of men related standards in maritime sphere that influences the pace of seeking the career objectives, on the other hand, young women scientists also face a challenge of matching their professional goals with family related commitments. The Action Plan also sets up certain measures destined to integrate gender related aspect into scientific research, studies and inner communication in order to improve the indicator of women scientists’ visibility and incorporation into research groups, moreover, to improve the results of work of research groups. The project “Baltic Gender” is being funded by the funds of EU scientific research and innovation program “Horizon 2020”, grant No 710363.